Pupils and teachers at Quinton House School, an independent non-selective school, are celebrating after another year of excellent GCSE results. An impressive 83% of the cohort gained 5 or more A* to C grades, with 84.5% of overall results at grades A*-C. This is 17.6% higher than the national average. Over a third of all results are A* or A grades, an increase of 6% on last year. 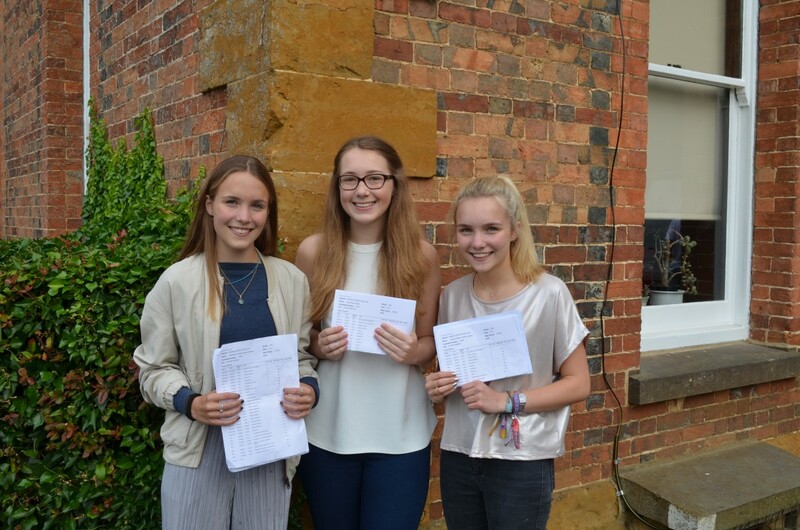 The results were particularly strong in English Language with 100% of pupils achieving A* to C grades. Particular congratulations go to Jessie Carter, Abigail Chapman, Charley Carter, Jim Warren and Sydney Bird who achieved an impressive suite of A*-B grades. Jessie Carter achieved an exceptional 7 A* and 2 A grades. Headteacher Catherine Cozens commented, “These results are excellent and demonstrate that Quinton House School pupils achieve outstanding results in an ever strengthening academic environment. We are extremely proud of the determination shown by our pupils and it has been wonderful to be able to celebrate their impressive achievements with them today. We look forward to welcoming pupils back to our Sixth form. Places are still available for September 2016.